Living in a city like London often goes hand in hand with living in a small space. 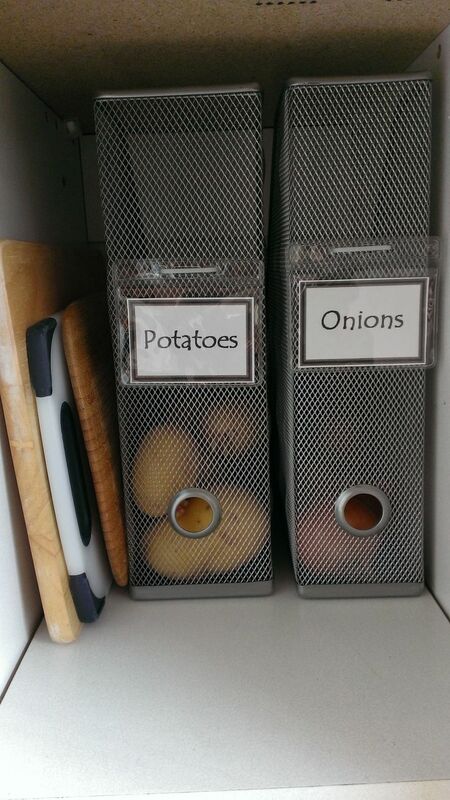 I have lived in many a weeny pad and know what it is, to FALL OVER my own shoes, cut my finger on the cheese grater while trying to wrestle the cling film out of the kitchen drawer.. and of course, the classic squash-the-hangers-into-the-wardrobe-as-tightly-as-they-will-go-so-all-your-clothes-are-crumpled-and-unhapy-looking-and-what’s-the-point-anyway. In the past, I have often turned to the more familiar storage solutions, be it a fitted wardrobe, under-the-bed drawers, or hanging my jewellery over a mug tree. Yep – that old chestnut. 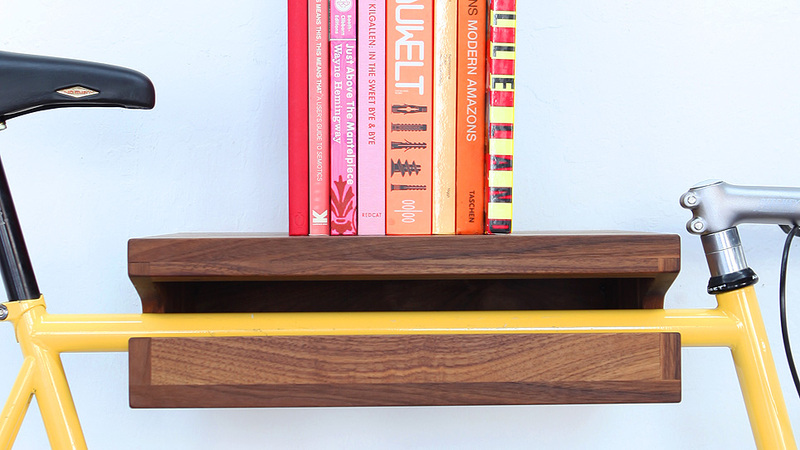 I am soon moving again, (yes, exciting…) to new digs in a different part of London and so have been trawling the tinterweb to find some new and more unusual storage inspiration. 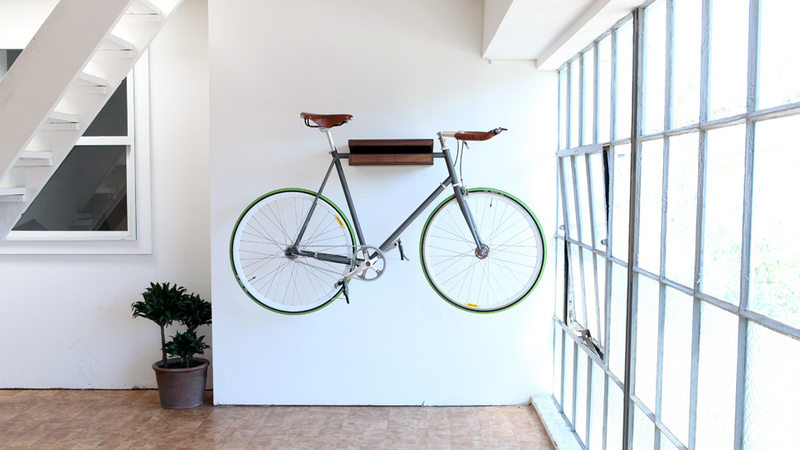 It’s a bicycle shelf. Uh huh. You’ll find it on www.theknifeandsaw.com There’s another pic of this at the top of this post. So next time you open a cupboard and an old box of lego (just me?) 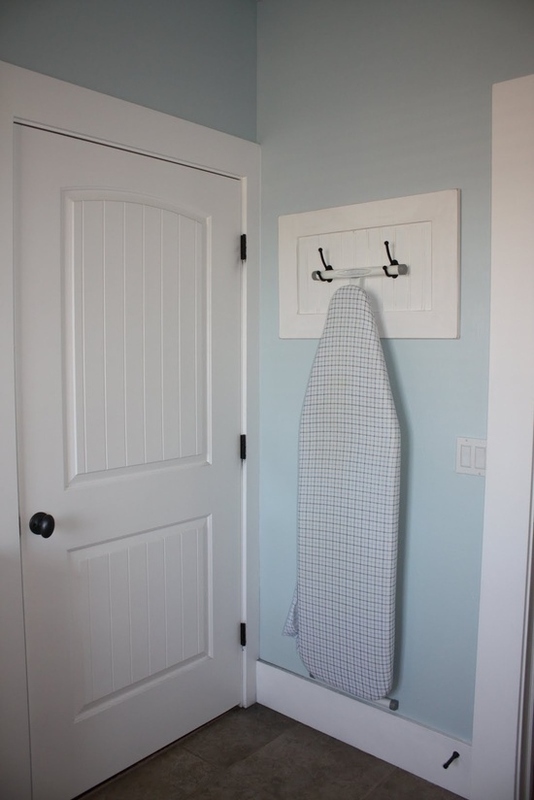 falls on your head, pop over to this post and grab some storage inspiration for your home. We shall be clutter free forever, you and me. 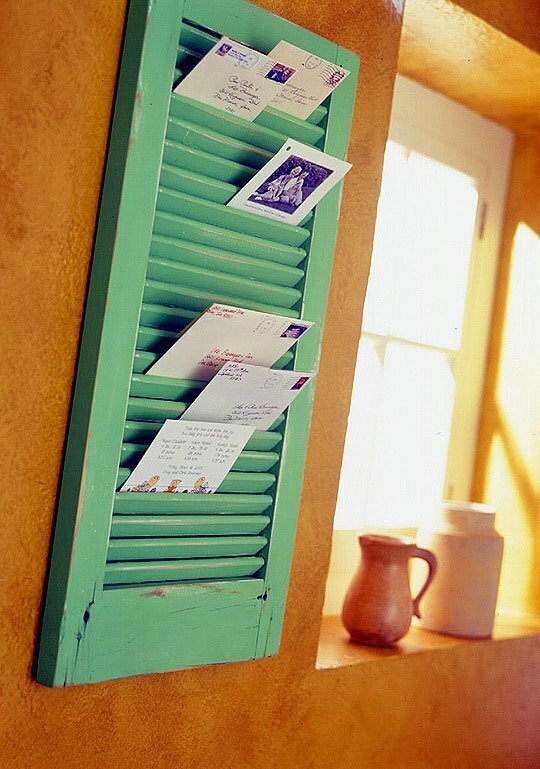 I like the letter rack. Some great ideas there! 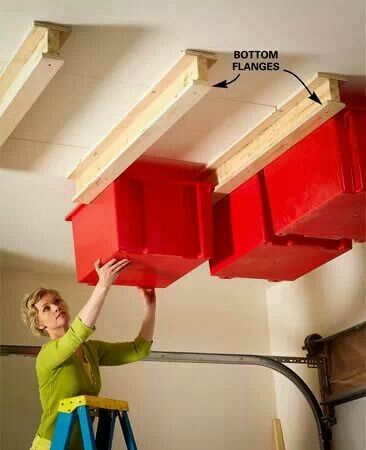 I LOVE these storage ideas! So clever! I completely agree Sarah – I keep looking at them and thinking THAT IS CLEVER! These are genius! We are just moving house and I am definitely keeping ALL these ideas in mind. Thank you! Ahh great news Victoria – good luck with the move! 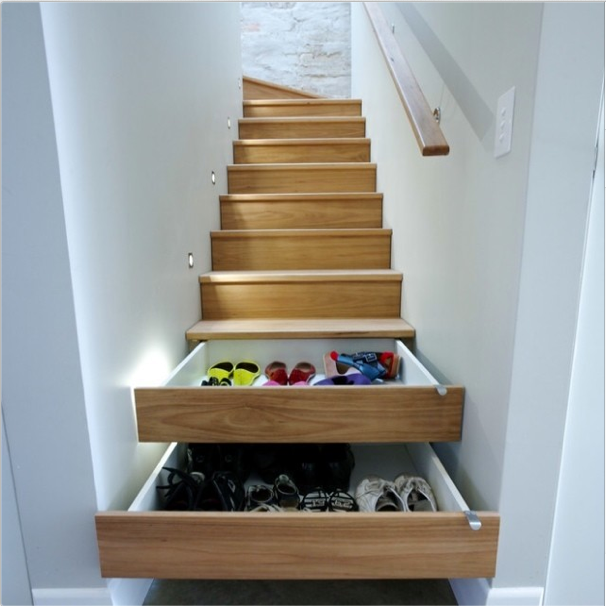 Drawers in stairs = Genius !! 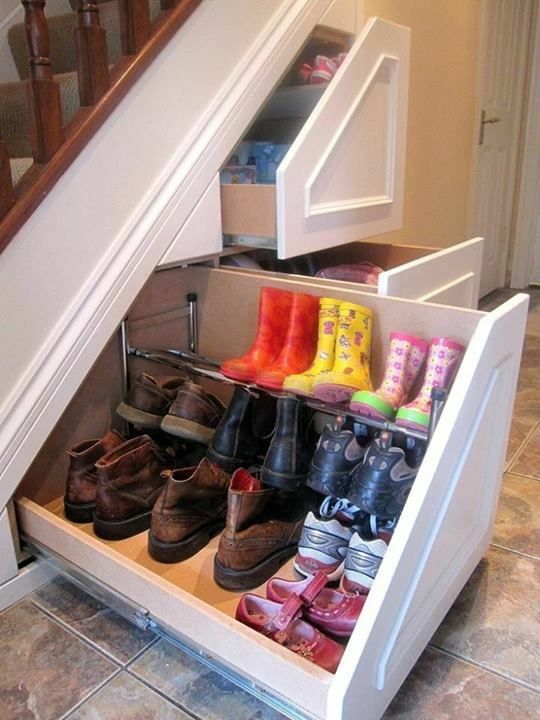 Love these under the stairs drawers …great idea! 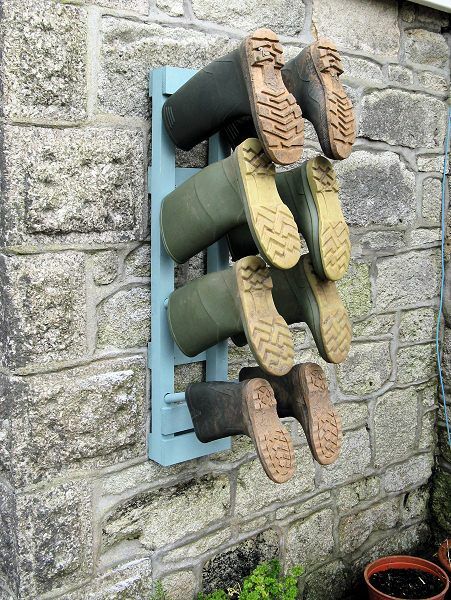 Some of these are ingenious! 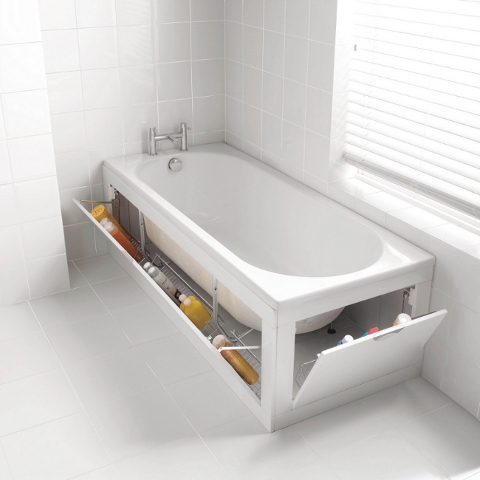 I especially love the shoe storages by the stairs and also the bathroom one. I looooove how the bike in the first picture looks. 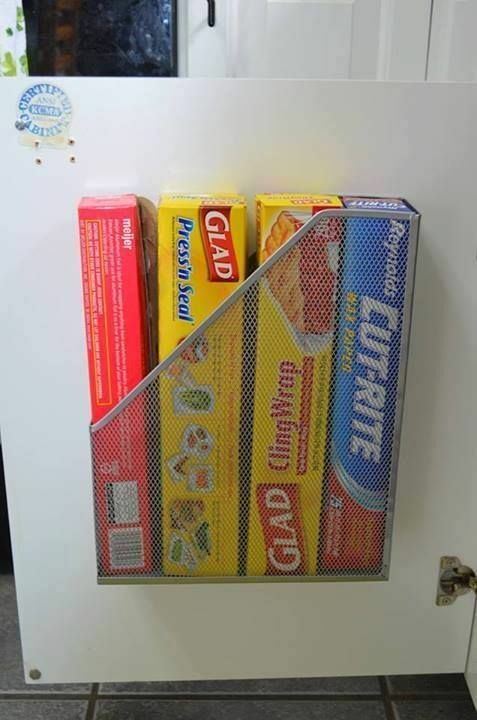 It’s such a great way to store it but it looks fantastic!!! Good luck with your move. 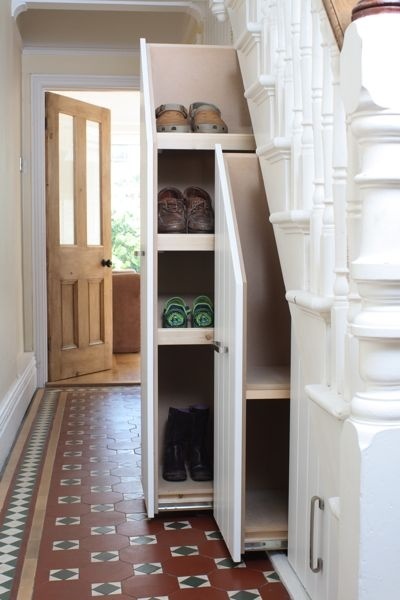 I love the slide-out drawers hidden in the stairs – perfect for shoes; keeps them handy without blocking the hall! 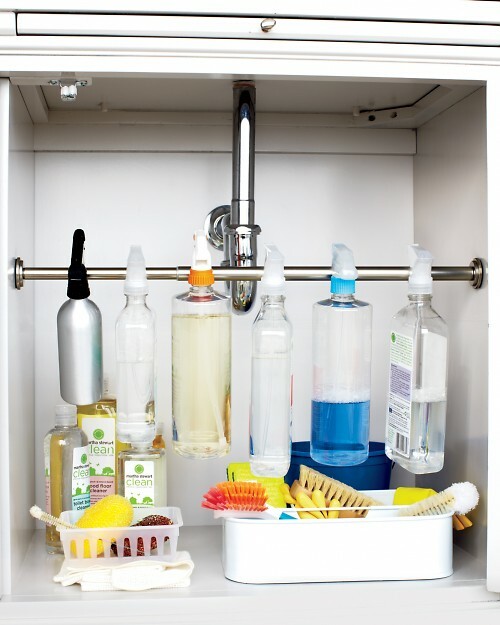 I’m going to look first though at how any of the kitchen ideas can help me – that’s where I have most clutter. 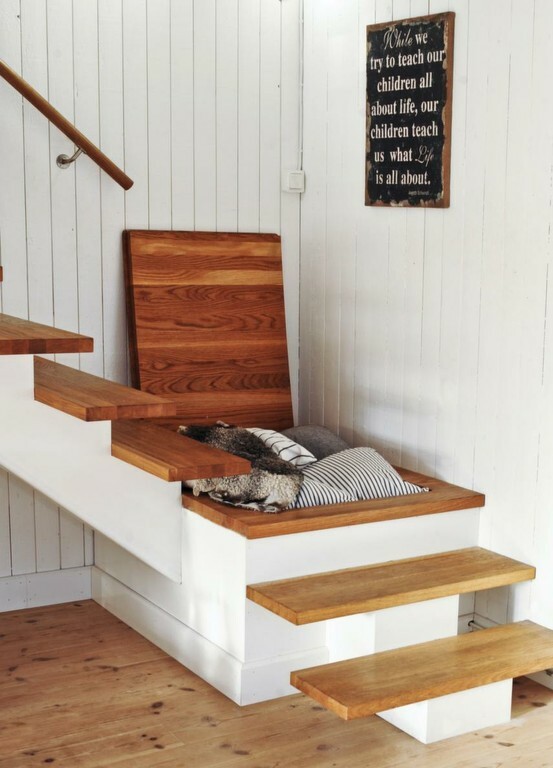 Well it is always a big question how tu survive in a small space :D Especially when you are not only one person but a big family :) Staircase solutions are really perfect, thank you for excellent ideas! 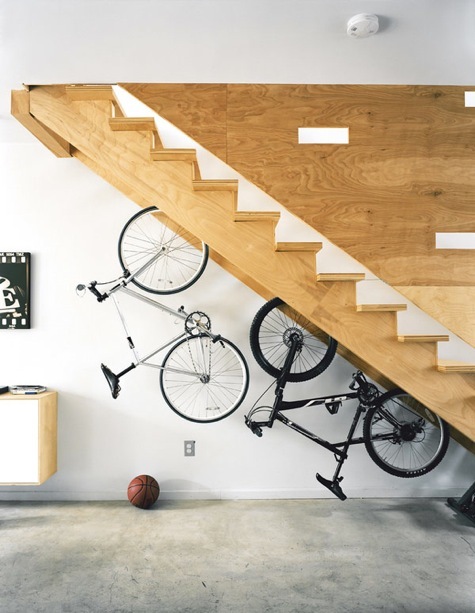 Wow, the bicycle shelf is so cool!